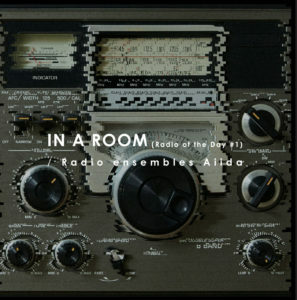 This is the first works of “Radio ensembles Aiida”. This recording method is “field recording”, Therefore, it contains all the following sounds,cry of birds in the morning, rain sounds, last train, electromagnetic waves emitted from PCs and various electric appliances. It is reminiscent of error noise approach presented by Pansonic, noto, mego, who swept through the 90’s. And it attracts various sounds. This work seems to be a “local recording” of the ceremonial rituals in which those sounds are performed. This may be called “Urban type Folklore” .